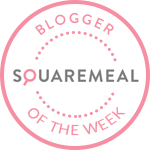 Emily's Recipes and Reviews | UK Food Blog | Leicestershire : the butchers bar and steakhouse, long eaton. When a restaurant's tagline is "because meat matters," you know they they're serious about their steak. Found in the unlikely location of Long Eaton, the restored Victorian mill makes for a quirky restaurant and the perfect industrial inspired setting for a modern steak house. Second to the steak, The Butchers Bar and Steakhouse are all about the cocktails. There's a super cool bar area where the usual suspects can be muddled together. Or you can make your way to the restaurant to oggle at their mouthwatering menu. The decor has a trendy vibe with the whole exposed brick, high ceilings and factory feel going on. To this they've added vintage props, large Avery vintage scales, plush leather seating and Charles Eames style chairs; you could easily have been plonked in a painfully cool venue in Shoreditch. We enjoyed a cocktail each (mine a mocktail Cosmo) which went down rather well. The mocktail hadn't been on the menu but I was saving my units for a glass of red with my steak so they made it up for me. We were down with my foodie pal Gingey Bites, who has posted a write up too. The group enjoyed some homemade pork scratchings to nibble on, at £2.95 these were delicious and perfectly spiced. Our starters came in the form of Posh Egg on Toast (£6.45), Mac ’n’ Cheese Cakes (£5.95/£6.95) and Chicken Lollipops (£6.25). The posh egg on toast was a bit of a disappoint I'm afraid. The hollandaise was admittedly delicious and the asparagus had a good crunch. However I was expecting a runny yolk and something a bit more special. I fed this back as I think a hard boiled vs runny egg is such a personal preference. The other starters went down well and were tasty but with such good meat offerings I'd be tempted to skip straight to the steak in future. This place really isn't somewhere you take a vegetarian on a first date. They do have some great offerings for veggie diners and are open to dietary requirements. But really, it's all about the steak here. Gingey opted for the 12oz Ribeye (£25.95), cooked medium rare as recommended, whilst our other halves had the 16oz Porterhouse steak (£27.95) grilled on the bone for maximum flavour. I went for the 10oz Flat Iron (£21.45), which was marinated in rich brown sugar and bourbon before being sliced to serve. Also known as the Butlers Cut, my flat iron had an inviting sweetness from the sugar and the bourbon brought out the flavour of the steak so well. It was served to me just the right amount of pink, and had been well rested too. It came with the suggested Shallot and Roasted Marrow sauce, which added another depth of savoury flavour to the plate. I chose to have root veg dauphinoise alongside, which came in a cute little enamel tin dish. It was a delicious side, although the chips looked really good too. Coming as requested with our steaks, we all enjoyed a red to complement our chosen steak. I went for the Merlot which was medium bodied with fruity qualities. Incredibly, we all had room for desserts; opting for Burnt Orange Creme Brûlée (£5.95), the Carroty Jar (£5.85) and the Warm Peanut Butter Cookie Sandwich (£5.95). I think I won on the dessert front this time. Everyone was pretty jealous of my droolworthy salted caramel ice cream, finished with a peanut butter and Bourbon drizzle. Again, such a generous portion for the price! 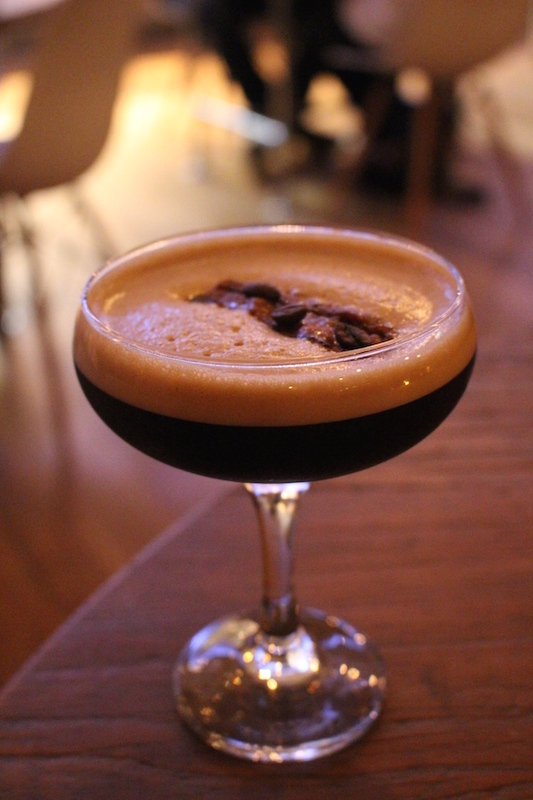 The night was rounded off with one of their Espresso Martinis, which is topped with crispy bacon. Meat and cocktails - what The Butcher Bar does best. 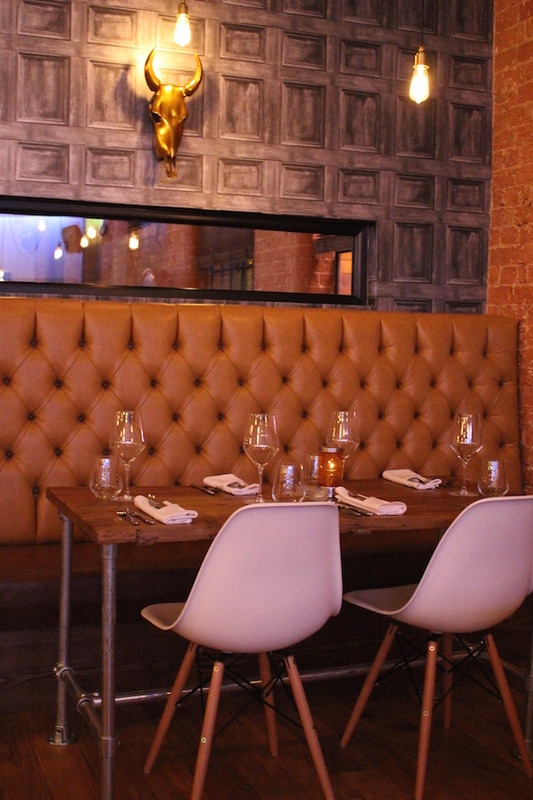 The Butcher Bar and Steakhouse is an utterly cool place which lives up to its namesake. I could live without the starters and go for those dreamy pork scratchings followed by a mouthwatering flat iron. It's all about the meat here; and would be the perfect place for groups to enjoy stylish cocktail and good quality steak in quirky surroundings and fantastic service. With independents like this, who needs to travel to London? It's brilliant to see the East Midlands becoming such a foodie destination. We dined as guests for the review. All words, opinions and photography my own.